Photo of August Ludwig Herde (1876-1974) and Susie (not Susan!) 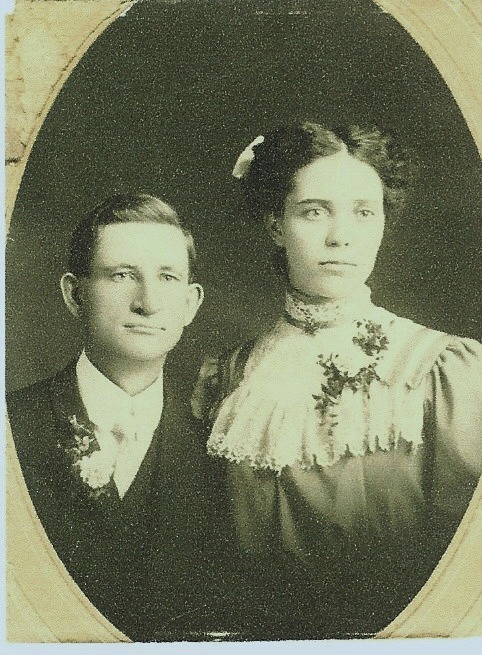 Elmira George (1886-1973) around the time of their engagement or wedding in 1905. Click photo to view larger, then right click to save it to your computer.